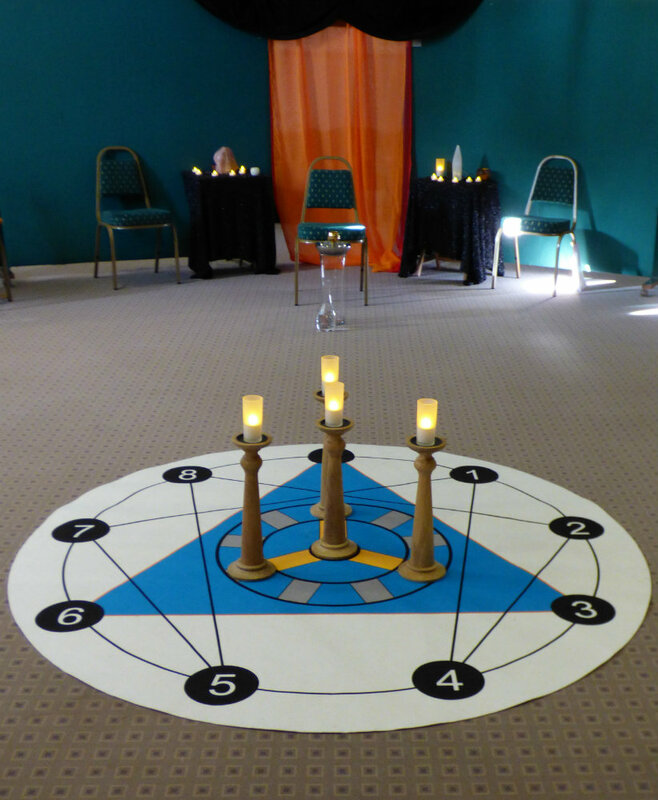 …With this year’s April Workshop, we returned to source. Five years ago, The Song of the Troubadour birthed our school and opened the gateway to three levels of Enneagram study. 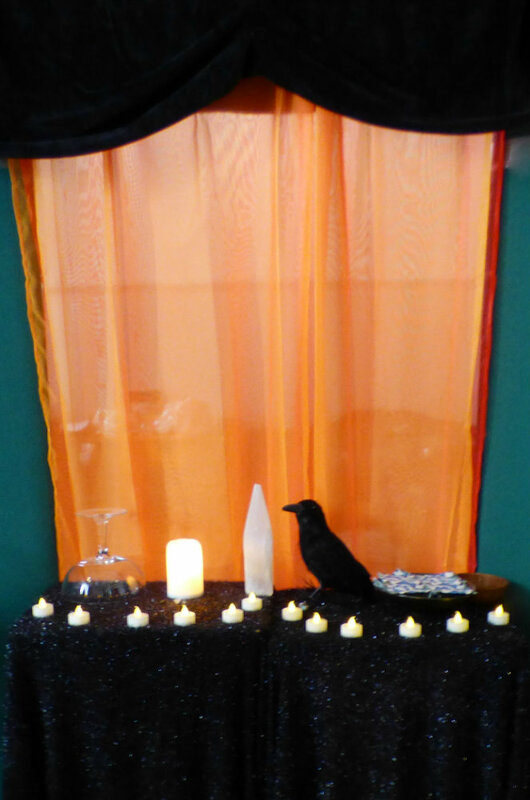 This year we opened another gateway, which led into deeper levels of understanding, with a Song of the Stones. Last year we moved through Mediaeval Courts, and Castles, and Fairy Forests, in search of the soul. This year we danced with grace through the heart of that soul, and learned how to overcome fear. The settings were simple, the costuming uncomplicated, with only the Weavers of Time and Story providing the strands and splurges of rainbow-like colour we might usually associate with this time of year. A veil split the temple space. It was a veil which had morphed through fire, sun and beyond fear into spirit before we were done.